The US government has only officially renamed certain tasks in Afghanistan trying to avoid responsibility for its actions and confuse the American people, but that doesn’t change the character of the war, says Sara Flounders of the International Action Center. 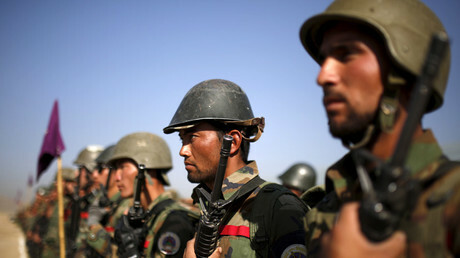 Afghan troops have pushed Taliban militants out of the northern Darqad district as the security situation in the south of the country deteriorates. The Taliban is fighting government troops in Afghanistan's largest province Helmand, after militants seized vast parts of it last month. British and US elite forces were sent in to help the Afghans stop the advance. 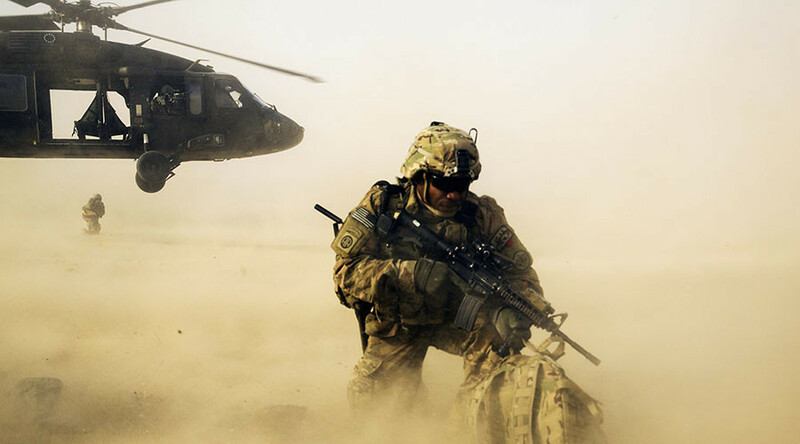 Last week a joint Afghan-US special operation saw an American soldier killed and two more wounded in Helmand province. When asked about the casualties, Pentagon Press Secretary Peter Cook stopped short of calling the incident part of a “combat” mission. Speaking on Thursday, Cook said the Department of Defense may not always know what US troops deployed in Afghanistan had been tasked with doing. RT: What is your opinion on the recent Cook statement? Sara Flounders: What it really means I think that they don’t want the people here in the US to know what US soldiers in Afghanistan are tasked with doing. That is how I would interpret it. Although of course it is true that in a war situation, which these soldiers are clearly in a war situation, you don’t know what they are doing from minute to minute. But they are doing a lot more than training and advising; that is just a renaming of their task. The US is very definitely involved now in 15 years of war in Afghanistan, and Afghanistan remains the poorest country in the world today after those years and years of billions of dollars pumped in for war. RT: Does this training and advice mission imply allied troops are operating under Afghan command? SF: They are supposedly under Afghan command. What the Afghan command really is – it is the US command. Again that is one more way in which this whole war is being renamed for public purposes, but clearly this is a US war and none of these Afghan commanders could last a day without US troops and also, tens of thousands of US contractors, subcontractor and mercenaries. Obama claims he left 10,000, I think 9,600 US troops in Afghanistan, but the Department of Defense as hired another 39,000 contractors and mercenaries. And then there are about 5,000 NATO forces that are not US forces. So there are tens of thousands of troops under US command nominally called Afghan command in what is a US war. RT: A US soldier was killed in combat recently. Is the Pentagon trying to avoid responsibility here, saying it may not know what US troops are doing? SF: Very much so. It is trying to avoid responsibility on every level, and trying to confuse and confound people here in the US to make it seem that the US is withdrawing troops – it has not done so. As I say they really have been just renamed, reassigned, officially given different tasks, but it hasn’t changed the character of the war. And there are between contractors, NATO forces and US troops – still 50,000 forces in the area on top of the tens of thousands of Afghan troops. RT: At the briefing, the spokesman repeatedly described the incident as a combat "situation". Why this choice of language? SF: There is very much a major military offensive going on in Helmand Province, where this death took place – I think more than 80 percent of the poppy opium trade is in that province. So there are a lot of corrupt Afghan officials, and I think US officials and others who have a big stake in what happens in Helmand Province and are very much involved in the war and in trying to secure this very lucrative area. They want to keep it under their control, their hands, and those profits in their hands. This is part of this dirty war, because what the same military spokespeople are not saying while they talk about one US death is that Afghanistan today has the highest rate of infant mortality, of women’s mortality in child birth, and one of the lowest rates of literacy in the world. Those are the counts that we don’t hear, and we should. RT: Barack Obama has been announcing the end of the combat mission in Afghanistan for three years now. So how would he explain the killing of a Special Forces soldier? Do you see an end? SF: ... President Obama promised to end US wars abroad and clearly that hasn’t happened, it’s escalated, and the war in Afghanistan grinds on and on much to the detriment to the people of Afghanistan along with the deaths of US soldiers, the deaths of contractors, but overwhelmingly the deaths among the Afghan people, especially the civilians. And the targets have been everything from the hospitals to tanks.